We Provide Our Services to all of Northern Virginia, Especially Falls Church, VA! Call us today so you can be appreciating your clean home (garage, attic, kitchen etc.…), storage unit, and or place of business. We will do all the manual labor so can just hang out. There is no need for you to put the junk to curb or put it all in one room. All you have to do is point your finger to the stuff you want removed and we will get it hauled away. We are properly insured. We are a local small family owned business (not some huge nationwide franchise business) and also we vow that we will treat you and also your property with the upmost respect as we thrive on repeat and referral business. We have been serving clients in the Falls Church, McLean, Oakton, Vienna Area since 2007. We have hauled away mattresses, box springs, dressers, bikes, refrigerators, hot tubs, sheds (Yes We Demo them too), renovation debris just to name a few of the items we have taken from various businesses and home owners in the Northern Virginia Area. We pick up and haul away just about anything you have. Everything we pick up and haul away will be taken care of in an environmentally-friendly manner. We'll provide any kind of recyclable products to the suitable establishments and also throw non-recyclable things according to neighborhood policies. Give us a phone call today for a FREE No Obligation Quote 703-444-5865 and let's get started! 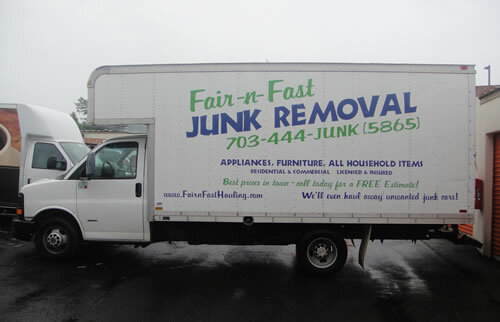 GET YOUR JUNK REMOVED WITH ONE EASY PHONE CALL TO 703-444-5865. 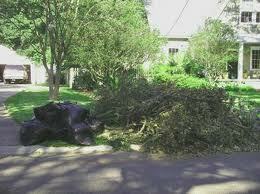 NO JUNK REMOVAL OR HAULING JOB IS TOO BIG OR SMALL FOR US! WE ARE LICENSED AND INSURED!